Hyderabad: MBA graduates from top colleges like IMT-Hyderabad are still in high demand amid challenging placement scenario this year. Though companies were cautious in hiring, the 2016-18 batch of students at Institute of Management Technology (IMT) – Hyderabad today announced that 75% of its student are placed this season. Dull placement season did not affect us, the released stated. More than 75% the students have been already placed with highest CTC of 12 lacs per annum top 100 average CTC being INR 7.56 LPA. 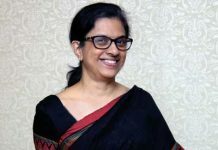 Some of the top recruiters this season were Amazon, Kantar, Deloitte, FactSet, ICICI Bank, Bluestar, CBRE, FactSet, NephroPlus, HDFC Bank, along with a host of new recruiters such as Verity Knowledge Solutions, TresVista Financial Services, Novartis, Kaara Infosystems, TVS Motors, Walmart etc, the release added. For blue-chip companies and recruiters, MBA talent continues to be a key driver of their growth. Digital transformation of businesses and the emerging opportunities that arose from the current dynamic business environment are some of the primary areas IMT Hyderabad graduates were hired for this year. IMT Hyderabad offers PGDM program in Marketing, Finance, Human Resource Management, Business Analytics and Information Technology, Operations Management, General Management and has tie ups with 22 Global Universities in 17 countries for student and faculty exchange programs.